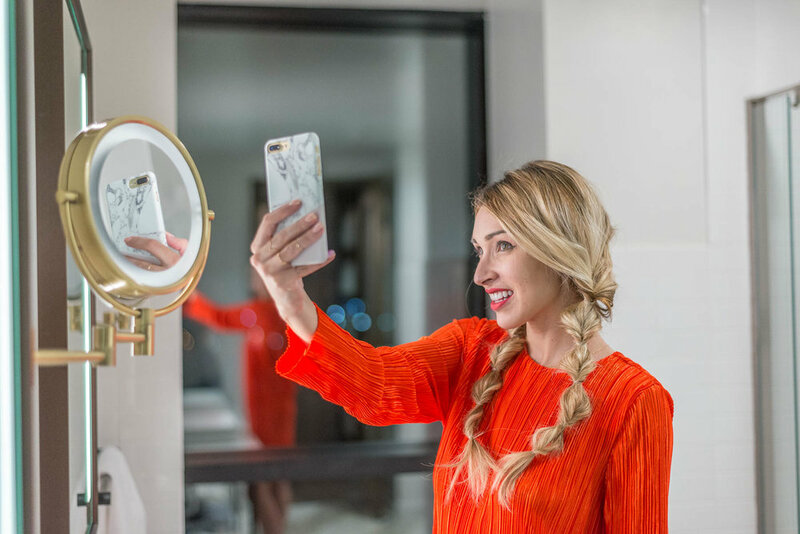 I love a distinct and durable phone case, and Case App has a ton of darling options at affordable prices. The best part? 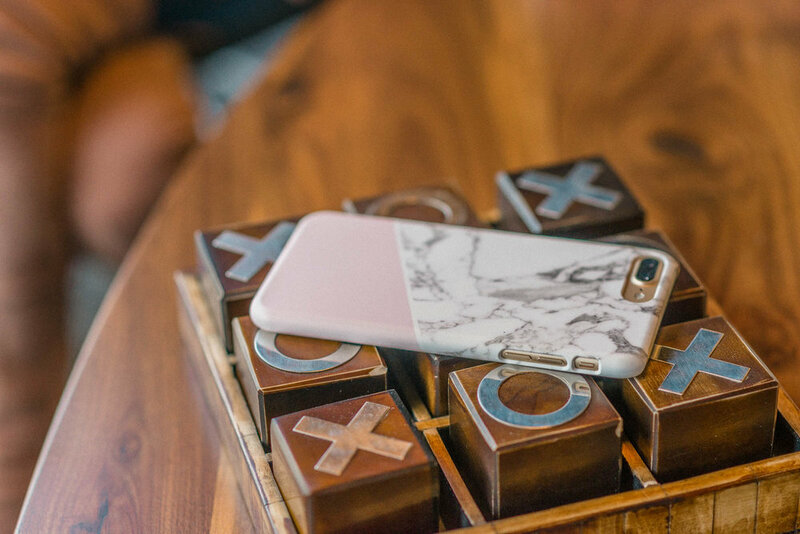 You can design and customize your own case! Sometimes you just can't decide - marble or tropical banana leaves? Haha. So I got both! The neutral marble and blush pink go with everything. I like the simplicity of the design. (Plus it looks super chic in my coffee latte /phone case flat lays!) The palm leaves are more quirky. Fashion-forward for spring (spring-break anyone?!) and I can be sure not to confuse my cell phone with anyone else! Case App is a super cool company out of Sweden that lets you design you own custom phone case or laptop skins. They have options for all phone carrier styles, and have a ton of exclusive pre-designed artwork to choose from! I love that you can add a quote, a sentimetel photo or make a statement with whatever imagery you want to your case. Maybe you rep your own personal brand! The sky is the limit. Anyways, for me my phone is my personal assistant - keeping my lists, and keeping me on task. It's my connection to the world on social and lifeline to my loved ones, just a text or call away. I also find it most used for the camera, capturing all of life's little moments. Big and small. Just a back-pocket away. When designing your own case, you can chose between a glossy or matte finish. I adore the matte finish! It's so smooth (not at all gummy.) The high quality makes them resistant to scratches and chips. I also like the slim fit design, a phone can be bulky enough on it's own. I have the iPhone 7 plus and Rob makes fun of by big screen but I personally love it! The fashion side of me knows accessories can elevate an outfit. This might be one accessory you don't think about, but carry everywhere and have out on display. (You know it's bound to show up in those mirror selfies at some point!) Phones are used to send messages, but they can also send a message about your personality. Go with something distinctly you! A special thank you to Case App for partnering on this post!